Hi, friends! I hope you're all having a nice 2016 so far. 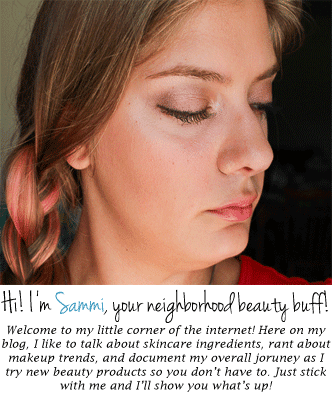 I'm excited to finally be starting my Beauty Buff Favorites of 2015 series. Most of these are ones I've recommended over and over again on this blog. But the products I like don't get a free ride into a Beauty Buff Favorite slot; I'm always testing and re-testing to see if they still hold up. The winners are essentially the products I'd be content with using without changing it up. Obviously, being a beauty buff means I'm always trying new stuff (plus this blog would get very boring very fast), but I'd be okay if these were the only products I had to work with. Quick photo note: it's been cloudy for days and we're not going to see the sun until at least Thursday, so today we're photographing by a window! Plus, the Penni household is in shambles due to the fact that we're finally starting to put our Christmas decorations away. Without further ado, here are my favorite products I used in 2015! I'm sure no one is surprised to see this here. Though I've obviously tried other cleansers this year, I always come back to this one. It's really a great product. It has a creamy consistency which is perfect for this time of year--yes, even you oily folk can give it shot--but if you're dry/normal/combination you'll probably enjoy this year-round. The only alcohol this contains is one deriving from coconuts, so it won't be drying like some other cleansers you'll find on the market. It's great at removing makeup (yes, even mascara) and it contains a bunch of plant oils that provide moisture but don't irritate my skin, which is a huge plus. 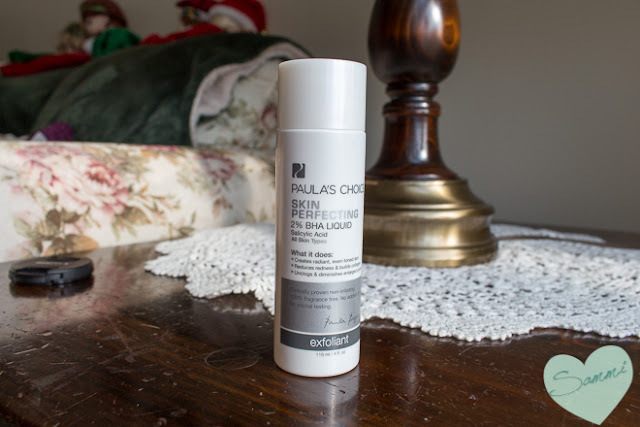 All in all, this cleanser has a cult following, and I definitely see why. When I'm tired and just want my makeup to evaporate from my face, I don't mess around. Yes, the Philosophy Purity Made Simple removes makeup like a dream, but sometimes it needs an assist when it comes to stubborn mascaras. Plus, I never go to bed without double-cleansing if I've been wearing makeup. I only really use this for my mascara, since the Purity Made Simple takes off everything else easily. I never wear waterproof mascara, but I do wear Benefit's They're Real, which is essentially just as tricky to remove. I like to get most of my mascara off with this (on a cotton pad or a Q-Tip), and then the Purity Made Simple will get rid of the rest. 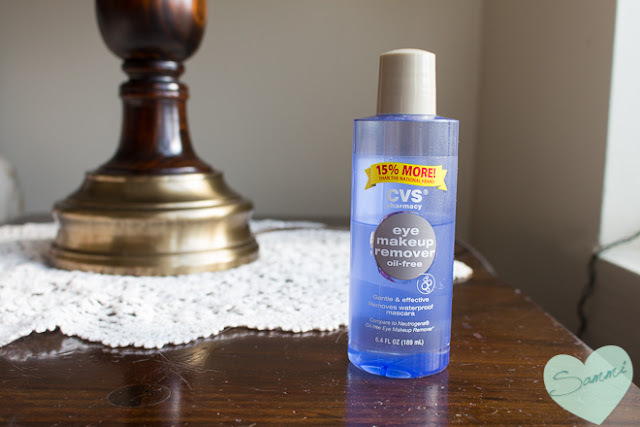 The good news: this works similarly to the Lancome Bi Facil eye makeup remover (they're both "separated" dual-phased removers that you have to shake to combine the ingredients) so if you want something that works without the high-end cost, this is a good option. This one in particular is comparable to the Neutrogena one, and CVS usually has a BOGO 50% off deal on it. Plus, it allows me to spend less on my makeup remover than the makeup I'm actually wearing. All in all, it's a good time. My product picks for best cleanser, best moisturizer, best serum, etc, might change through the years, but I doubt this one ever will. It's simply the best one on the market, that's it. I've tried so many salicylic acid products that come up short (and some that do absolutely nothing), but this one always works. The pH is exactly where it needs to be in order for it to be effective, and the formula is just perfect. If my skin is feeling "blah," I'll apply this to my skin, let it soak in, and then feel a billion times better. Not only does it make your skin feel insanely soft in a matter of minutes, but it also removes any excess dirt and oils you might have missed the first time around (if you're feeling lazy that day and don't double-cleanse). I like the lotion formula as well, but even though my skin can get pretty dry, I feel like the liquid formula just makes my skin feel extra clean and smooth. If you struggle with blackheads, enlarged pores, or dry and flaky skin, you need this in your life. You just do. I don't get pimples often, but when I do, I want them gone now. This helps with that! It's a spot treatment containing 10% sulfur to really knock those acne spots dead in their tracks. I always see a huge improvement the next day, so I know it's reliable. It can be quite harsh, so I wouldn't use it on any little run-of-the-mill pimple, but save it for the big, stubborn ones you can't get rid of. If a pimple hasn't healed in a few days, and I have an interview or a special occasion the next day, you can bet I'll be pulling this out. I hear Mario Badescu's Drying Lotion is a similar product at a cheaper price, but I haven't tried it, so I can't personally say much about it. If you've tried both, let me know! Despite its name, it's more of a face oil than a true serum. However, it really is a great blend of oils! Considering the amount of natural oils included, I'm surprised none of them have posed a risk of irritation for me. The only one that might give you a problem is the rosemary oil, but being that it's the last one on the list, it probably won't cause you any issues. 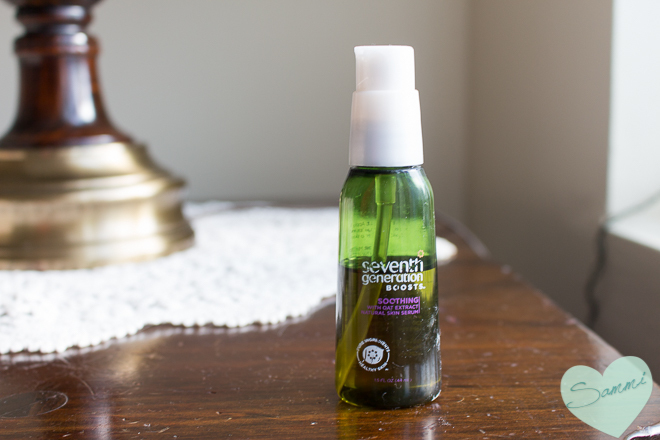 I like to use this as more of an oil booster, adding a drop or two to my moisturizer for added hydration. If I'm feeling particularly dry (or if it's winter) I'll add two drops to my face, using it more like a serum before I put moisturizer on. This is probably going to be the last year that this serum is mentioned in a Favorites, because it's being discontinued! You can find bottles on Ebay for around $5, so if you want to try it, now is a good time. It seems like the other varieties (Firming, Hydrating, etc.) are still being sold regularly, so you're welcome to check out those as well. I would buy another bottle, but being that my #1 New Year Resolution for this blog is to test out more new products, I'm resisting. What's your favorite serum right now? This moisturizer is just so easy, I love it! It has a lotion consistency, meaning it's not too thick that it'll clog my pores, but still provides enough hydration to my skin. It doesn't make my T-zone too oily, but I don't find that my dry cheeks feel particularly parched with this, either. The only con is also a plus: as someone who's fair, I should probably being wearing at least SPF 30 on the daily, but since this is only SPF 15, it doesn't cause me to look like a grease ball in photography (SPF 30+ can cause flashback, since high SPFs can cause a whitecast or make you look overly shiny). I say this from experience: that ain't cute. 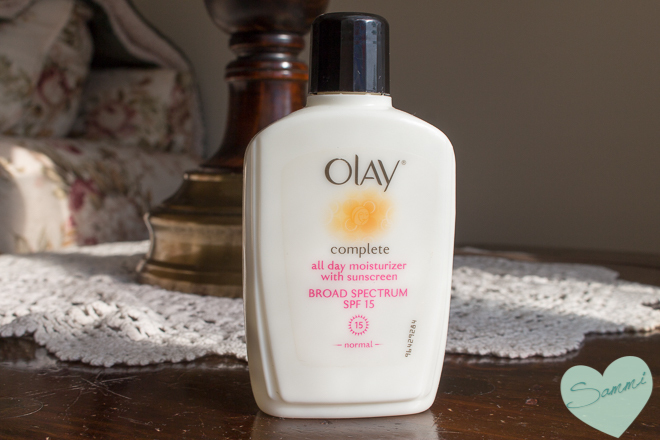 Some bloggers prefer to use separate moisturizers and sunscreens, stating that if you combine them into one multitasking product, it might only be mediocre at both. But there are other experts that advocate for the combination of moisturizer and sunscreen, so it's up to you to decide! I know when I'm half-asleep and slapping on skincare products in the morning, the less steps I have to take, the better. I'm really glad that I tried this moisturizer this year! This really has the perfect texture for someone with combination skin. 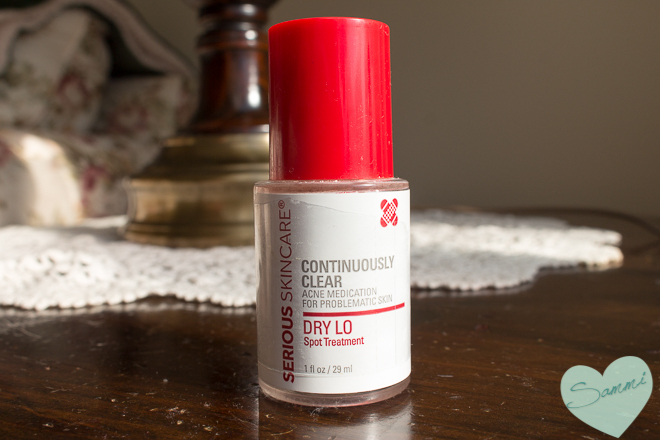 It's more of a mousse consistency, allowing it to moisturize the dry areas while not overload the more oily areas. I also like how it comes in an opaque tube instead of a jar, meaning that the beneficial ingredients you're paying through the nose for actually have a chance of lasting 'til the end. I could do without the fragrance (which will inspire my search for 2016's best nighttime moisturizer)--though I didn't smell it, I know my skin typically doesn't like it, whether I can see irritation or not. Other than that, I really like the formula of this moisturizer, and definitely want to try out more of their skincare products this year. Even though $39 may sound like a lot, it's surprisingly cheap for Caudalie, so if you've been wanting to try a product from the brand but didn't want to spend your whole paycheck, this might be a good place to start. I wonder if the Clarisonic will ever not get this award. No matter how many cleansing brushes come out, you just can't beat the original. It has patented technology that allows the brush to oscillate, rather than making real rotations like most of the copycats, making it a little less harsh on the skin. This year, I've taken it out of my daily regimen and now only use it a few days a week. I like to alternate with using a plain ol' washcloth, just to prevent irritation. I tend to get especially sensitive around the nose, which also happens to be where I get the most blackheads, so I try not to overdo it. Exfoliating is especially important in the winter time, when skin tends to get a little more dry and flaky, so it's helpful to use something besides your hands to get off the dead skin. If you compared this to just using your hands, you'd definitely notice a difference (it basically obliterated my acne problem in college). Fun fact: I was sleeping at a friend's house a few weeks ago, and she walked in on me using this and gave me the weirdest look, so I had to explain to her what it was. Sleepovers are not an excuse for lousy skincare (or for skipping out on testing products for 2015 Favorites)! Overall, I'm really surprised how many of last year's favorites made the list again this year. Either I need to try twice as many new products next year, or I found some real winners in 2014. I tend to be a creature of habit (I like what I like, and I like it a lot) but I try my best to test new products as often as I can! What skincare products should I put on the top of my to-try list for 2016? Tell me the best skincare product you tried last year! Want to see more skincare posts? Or see last year's Skincare Favorites.